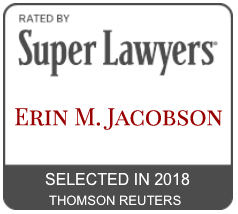 inherit - Erin M. Jacobson, Esq. I see many spouses or children that inherit a song catalogue from a songwriter relative, and are not familiar with the music business or how to administer intellectual property rights of music. Here is the first thing to do: Hire a music attorney experienced with managing catalogues and music publishing. I assess the catalogue. I work with my client to know exactly what they have in the catalogue. I find out whether the heir owns the copyrights to the songs – either because the original writer never granted them away or recaptured them at a certain point before inheritance. If the heir doesn’t own the songs, I determine who does have ownership and the terms of the deals with those owners. I review the old contracts and assess whether the current publisher or administrator is doing the best job for the catalogue or if the catalogue might be better at a new home. I assist with inventory of all the titles, copyright years, and registration numbers (if possible); and determine all sources from which the heir receives statements and royalties. Keeping everything organized is essential to either managing or selling the catalogue. I assess whether certain provisions of the copyright law apply so that an heir who doesn’t own the catalogue may be able to reclaim ownership of those copyrights, after which I can negotiate a new deal with the best publisher to manage the catalogue. I coordinate a valuation appraisal of the catalogue for potential sale. Selling the catalogue is a personal decision, it depends on whether one would rather receive royalty checks or instead receive a lump sum upfront in exchange for the catalogue. This depends the circumstances of each individual situation, both from a financial standpoint and whether the heir wants to have a continuing relationship to the catalogue. Inherited catalogues are special for family legacy reasons, but also because they come with their own set of decisions. Many heirs have not had previous experience with the music publishing business, and either miss important milestones that would put the catalogue in a better position, or they rely on existing deals with companies that are no longer looking out for the best interests of the catalogue. Banks and other trustees often complicate matters, as well as representatives not experienced in music publishing and copyright management. Many of these personnel only look at the numbers. I personally love older music and understand the sentimental value of a catalogue beyond the income it brings in each year, as well as whether and how it can be profitable in today’s market. Again, the first step in dealing with a catalogue you have inherited is hiring a music attorney experienced with music catalogues and who can make the right plan for your catalogue.